The beauty and rich history of the Petaluma River is what David Yearsley fell in love with when he first moved to town in the mid-1990s. That love for the Petaluma River was something he dedicated his life to sharing with others. Mr. Yearsley, the former Petaluma Riverkeeper, died after a battle with cancer on Sept. 5, 2011. He was 65. “The Petaluma River just lost its best friend,” said J.T. Wick, a member of the board of directors of Friends of the Petaluma River. Mr. Yearsley grew up in Wisconsin, but spent some of his formative years in the Delaware River estuary near Odessa where his grandfather owned a farm with 200 to 300 acres of marsh. After serving four years in the U.S. Air Force during the Vietnam War working on fuel pipelines and storage facilities, Yearsley moved to San Francisco in 1968 to attend college. He earned a university degree in fine arts. He became a woodworker, married, had two children and moved to Richmond. Even there he was able to indulge his love of the outdoors hunting and fishing on Wild Cat Creek. He divorced in 1989. While he was still a student at San Francisco State in the 1970s, Yearsley lived in a little cabin in Larkspur on the Corte Madera Creek. Housing was cheap and the house was on stilts over a tidal marsh. 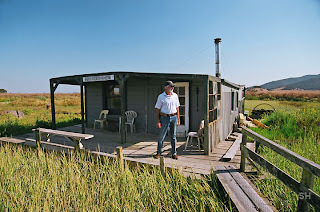 A friend came to visit him and mentioned she owned a similar cabin in the Petaluma marsh. Yearsley liked it so much he bought into it, then bought out her share in the mid-1980s. In 1994 he met his present wife, Elizabeth Howland, and moved to Petaluma. It was Howland’s friend, David Keller, who suggested to Mr. Yearsley that the Petaluma River needed a river keeper. He introduced Mr. Yearsley to the San Francisco Baykeeper, who appreciated his passion for the watershed and helped him set up the Petaluma Riverkeeper program in 1998. He served as Riverkeeper until 2005. In conjunction with his Riverkeeper work, he was founding chairman of the Petaluma Wetlands Alliance from 2001 to 2003; which successfully promoted constructed wetlands as part of Petaluma’s new wastewater treatment and recycling facility. In 2004 to 2005, he led Friends of Tolay’s successful grassroots campaign for the acquisition of Tolay Lake Regional Park, preserving a pristine 1,800-acre valley adjacent to Petaluma River. He also served on the Petaluma Chamber of Commerce River Committee. 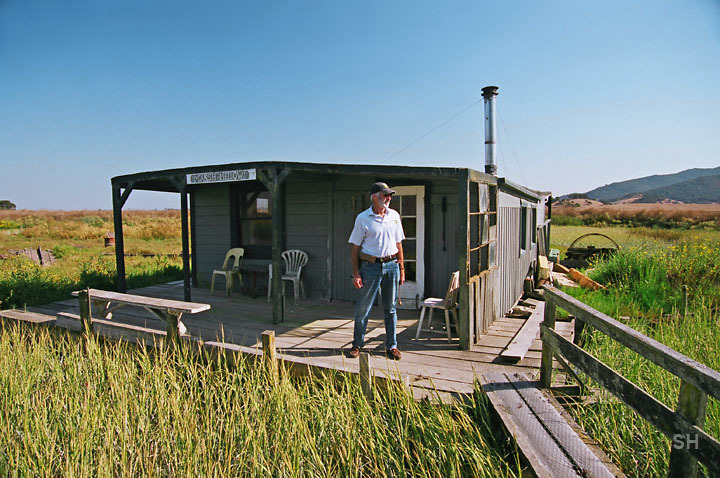 In 2006, Mr. Yearsley founded the Friends of the Petaluma River to promote appreciation and stewardship and of the River and its tidal wetlands. In 2009, he launched an effort to convert an old livery stable that had been moved from First and D streets to McNear Peninsula to the Petaluma River Heritage Center five years earlier. He helped organize several events there, including a River Heritage Fair, Tom Sawyer Days and the Rivertown Revival. Mr. Yearsley was captain for the Friends of the Petaluma River’s Eco-Cruises, a program that started in 2010 and gave interested local residents the opportunity to enjoy a narrated cruise on the river aboard a 27-foot triple pontoon barge. “He brought constant love and attention to our river and our community for many transformative years,” said local photographer Scott Hess, a friend who had taken many photos of Mr. Yearsley and the Petaluma River over the years. Over the last several years, he fought a major expansion of the Redwood Landfill, north of Novato, surrounded on one side by San Antonio Creek and the other side by the Petaluma River. He called it an environmental disaster waiting to happen, saying it could collapse and leak pollution into San Antonio Creek, in turn contaminating the Petaluma River and San Francisco Bay. When not on the river, Mr. Yearsley worked as a cabinet maker and furniture designer, and a general contractor. He did remodels of Victorians. Part of his early work was historical buildings in San Francisco and Marin. In 1983, he started his own business, DMY Woodcraft. Howland added that he had a good sense of humor, loved music, singing and dancing. In fact, the couple met at a cajun dance. To honor Mr. Yearsley’s passing, friends laid down a sacred ceremonial fire Monday at the River Heritage Center in his honor and planned to keep it burning for four days. Peter Bergen, a traditional fire tender, is helping community members to share together their grief, stories, laughter, music and hearts over four days. Mr. Yearsley is survived by his wife, Elizabeth Howland; children, Liam Nelson, Kate Glass, Brendan Brooks and Marcelle Brooks-Yearsley; and four grandchildren. A memorial service will be held in the fall. Details will be announced at a later date.